“SCREW” banded in March 2006. They powerfully kept performed for many secret live until they officially started their activity on their first one-men stage at TAKADA NO BABA. 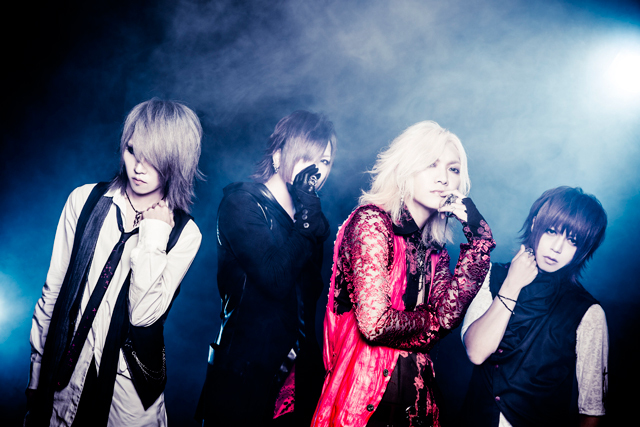 The band formation consists by Vo.Byo who has a fascinating style in his intense passion, and decorates aesthetic SCREW world. Gt. Kazuki supports the band as a band leader, He tries to improve the band performance skill as well. Gt. Manabu has a sense for a song writing and Dr. Jin are the SCREW..s rhythm section who supports their heavy & strong bottom sounds. By performing many stages since they banded, SCREW..s audience number from the venue had kept increasing to sold out their one-man tour『SCREW WINTER TOUR2009 DOUBLE SUICIDE IN FIVE CITIES』(Japan 5cities) in January, 2009 and another one-man stage『The Third Anniversary -』EBISU LIQUID ROOM on April 26th. And now, they are about to release NEW full album 『X-RAYS』on September 16th. This up coming releasing album has much more improved than their last mini album『RACIAL MIXTURE』, This title named for exposing「SCREW」, means human ugliness、weakness、a pain in an intensity feeling、transiently、and the lights in the darkness. Album sublimated by SCREW..s dark side and their point of view had helped a lot to make this great work. Starting on October 1, SCREW will starts their ONEMAN TOUR『TOUR09 X-RAYS OF SCREW』through Japan on 10 stages in 9 cities. Also on October 17th 2009, SCREW will perform for the biggest Japanese cultural event in Europe『Tsukicon』in Finland as a main live artist for the show. This proves that the band has a great number of fans in overseas.